147 Banff Avenue, Clock Tower Mall. Access is from the alley behind McDonalds. Look for a green door with our logo. Daymon has been involved in martial arts since his early years. Beginning in Calgary in 1980 he started studying at Hiro’s Judo Club – his career continued on through university where he participated in various regional and national tournaments as a member of the Alberta Provincial Judo Team. Later, his interest in Judo brought him to Japan where he continued his training, eventually earning the rank of nidan. During this time Daymon also began studying Kendo under the tutelage of Komaru Sensei, a godan from Asahikawa, Hokkaido.Next he moved to Iwate, a rural area of Japan, where he continued with Kendo and eventually earned the rank of Shodan. While there, he participated in a regional tournament as a member of the first ever foreigners team. It was in Iwate that Daymon was introduced to Yushukaikan Karate, a full contact style taught by a local Sensei and Chinese Medical Doctor, which he practiced for two years before returning to Canada. Upon returning to Canada Daymon joined the young Banff Karate Club, which after a short time became part of the International Karate Organization Kyokushinkaikan – Canada (IKOK-C). Since then he has attended numerous summer and winter camps under the tutelage of Shihan Stuart Corrigal and fought in many regional and international tournaments. Daymon became the head instructor and dojo operator for Banff in 2009 and Julie Pecsi, his wife, is the assistant instructor and club administrator. One of his fondest memories to date occurred in Mitsumine (Summer training camp location in Japan), with Sempai Jeff and Sempai Leo (Invermere Dojo). During free time from summer camp training, they set out on a run through the very same mountains where Mas Oyama once secluded himself for self-training. Daymon is currently working towards his nidan (second degree black belt) and hopes to challenge the grading in the year 2013. 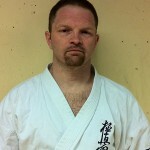 Daymon is the head instructor of the dojo and teaches the Advanced Kids and Adults classes while assisting Julie Pecsi with the Family Beginner class from time to time. Outside of Karate Daymon is General Manager for Discover Banff Tours a full service travel company in Banff. They provide sightseeing tours, soft adventure activities and are a reservation and activity-booking centre for accommodations and all other activities found within the Bow Valley/Mountain Parks area. Daymon keeps himself busy outside of work and karate with boxing, jujitsu, mountain biking, snowboarding and spending quality time with his wife Julie (assistant instructor), son Tyler (3rdKyu) and daughter Kendra (dancer) in the great outdoors as often as possible. Julie (1st Kyu) started training with her son in 2005 in the Banff Dojo. Julie's karate resume includes participation in kumite and kata throughout Western Canada and includes kumite at the International level. She has competed in Los Angeles, New York and Montreal. Julie juggles karate with her two children; co-operating the dojo with her husband and her full time career as General Manager of 3 retail outlets in Banff. Julie intends to challenge for her Shodan in 2013. • 1999 – (Fall) Daymon Miller joins Banff Karate. • Membership in Banff Karate is approximately 8. • 2000 – (Spring), Sempai Taka returns to Japan for personal reasons, Sempai Jeff (Green belt) assumes head instructor role and teaches all classes. • 2001 – (January) Sempai Jeff adds a children’s class to the schedule. Karate becomes very popular and many young students join. A second location, The Banff YWCA conference room is added and used for children’s classes. • 2001 – (Spring) Banff Karate becomes dissatisfied with parent organization of Shinsekai and opts to leave. 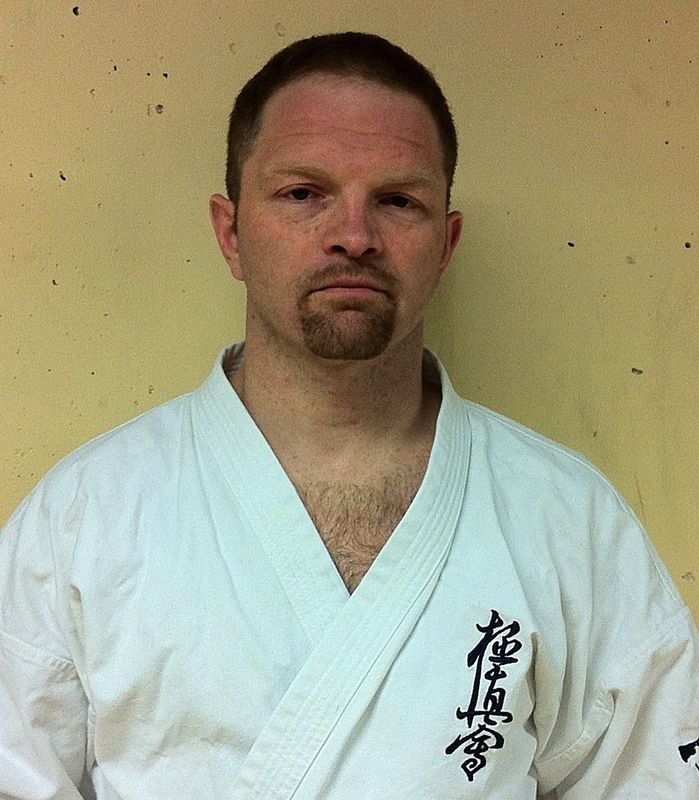 • 2001 (early summer) – Jeff Hines and Daymon Miller approach Kyokushin Karate via sensei Brad at the Calgary Dojo, seeking to join Kyokushin. Sensei Brad directs us to Sempai Steve Gobby who runs the Cochrane and Water Valley Dojo’s. • 2001 (August) – Shihan Don Corrigal, Sempai Steve Gobby, Sempai Brad Gillespi and a few students from Calgary trek to Banff to welcome the Banff Dojo into Kyokushin. The inaugural Banff Kyokushin Karate (BKK) practice is held in the Banff Springs Hotel dojo in the fitness centre. • 2004 (winter) – BKK opens a second dojo in Canmore in order to expand Kyokushin. Tyler Pecsi (6 yrs old) and mother Julie Pecsi become members. The dojo is short lived and closes after one month. Julie and Tyler continue to train at the Banff dojo. • 2005 First Foothills Tournament held in Banff and co-hosted with Calgary and Bearspaw dojos, with the intent of rotating the tournament location yearly. The Foothills tournament would evolve into the Calgary Cup. Daymon has been involved in martial arts since his early years. Beginning in Calgary in 1980 he started studying at Hiro’s Judo Club – his career continued on through university where he participated in various regional and national tournaments as a member of the Alberta Provincial Judo Team. Later, his interest in Judo brought him to Japan where he continued his training, eventually earning the rank of nidan. During this time Daymon also began studying Kendo under the tutelage of Komaru Sensei, a godan from Asahikawa, Hokkaido. Next he moved to Iwate, a rural area of Japan, where he continued with Kendo and eventually earned the rank of Shodan. While there, he participated in a regional tournament as a member of the first ever foreigners team. It was in Iwate that Daymon was introduced to Yushukaikan Karate, a full contact style taught by a local Sensei and Chinese Medical Doctor, which he practiced for two years before returning to Canada.